Already a member of Lordhair? 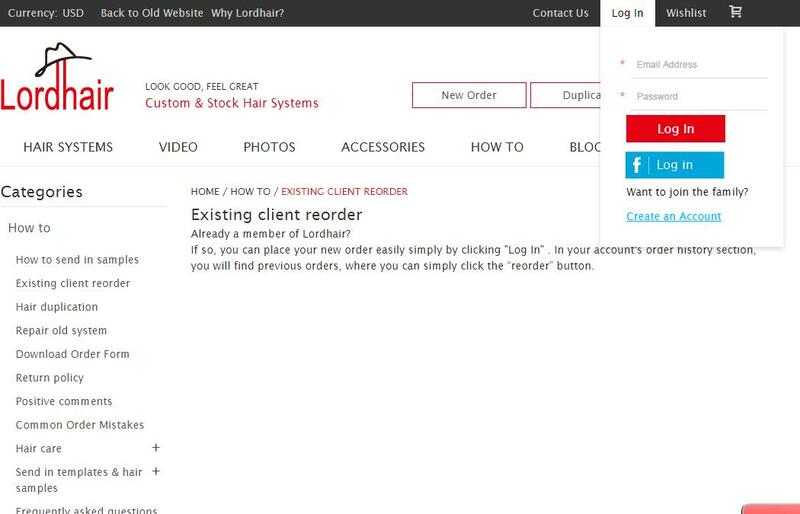 If so, you can place your new order easily simply by clicking "Log In" . 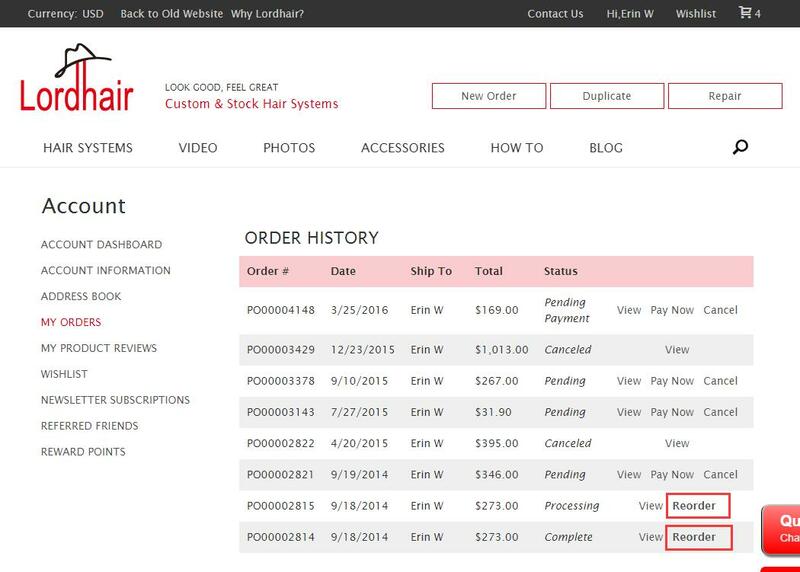 In your account's order history section, you will find previous orders, where you can simply click the “reorder” button.